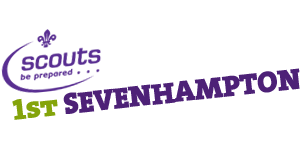 Welcome to the 1st Sevenhampton Scout Troop Website. Launched in May 2014, this website will serve as the troop's presence on the web. Here you will find details of our upcoming events, current program and any special announcements. The site is dynamically linked to Online Scout Manager, so all our events and programme information is also displayed here. We will also use the site to promote and celebrate scouting in our district. If you have any suggestions or would like to speak to us, please use the contact form.